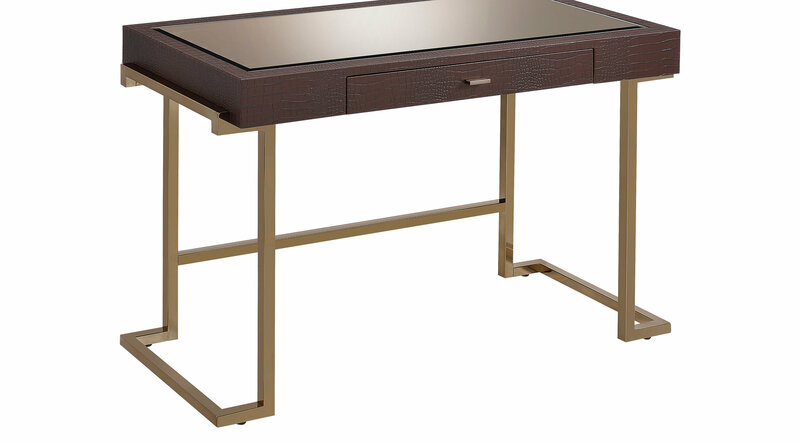 Simple and stunning, the Boice espresso desk speaks of modern design with the use of a simple champagne metal base that supports the espresso polyurethane wrapped desk top box. The desk features a middle drawer and a top surface with an inset smoky mirror to create an outstanding desk for both use and display. It will create a perfect work space in your home office or bedroom.